Jesus said to the Pharisees: “I am going away and you will look for me, but you will die in your sin. 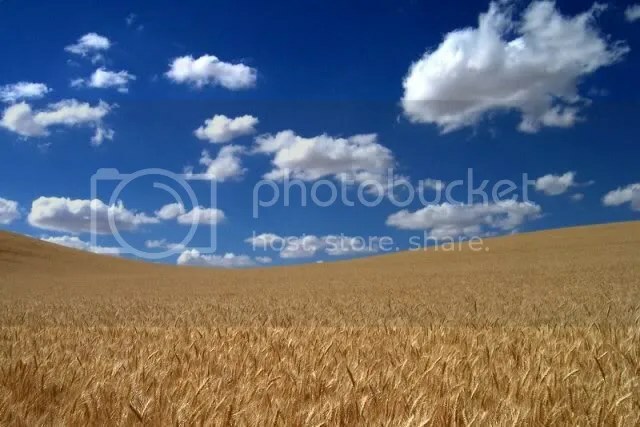 Where I am going you cannot come.” So the Jews said, “He is not going to kill himself, is he, because he said, ‘Where I am going you cannot come’?” He said to them, “You belong to what is below, I belong to what is above. You belong to this world, but I do not belong to this world. That is why I told you that you will die in your sins. For if you do not believe that I AM, you will die in your sins.” So they said to him, “Who are you?” Jesus said to them, “What I told you from the beginning. I have much to say about you in condemnation. But the one who sent me is true, and what I heard from him I tell the world.” They did not realize that he was speaking to them of the Father. 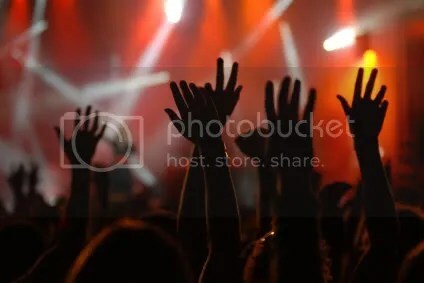 So Jesus said to them, “When you lift up the Son of Man, then you will realize that I AM, and that I do nothing on my own, but I say only what the Father taught me. The one who sent me is with me. He has not left me alone, because I always do what is pleasing to him.” Because he spoke this way, many came to believe in him. Reflection on the gospel: In today’s gospel, Jesus twice uses the words, I AM, to describe himself. The discussion of what God said to Moses when Moses asked God for God’s name is a little complicated, but what the Jews understood God to have said is, “I AM,” and in today’s gospel, Jesus uses those very same words about himself. In other words, Jesus in the gospel passage is making a very strong claim about his own identity. 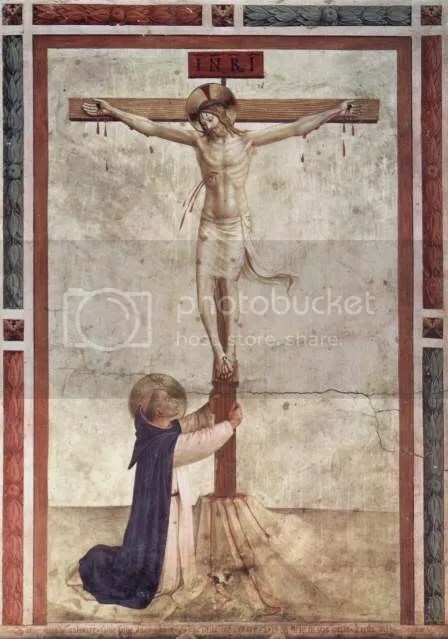 Jesus tells his listeners that when they lift the Son of Man up, they will know this is the truth about Jesus, that, as Jesus says later in John’s gospel, “The Father and I are One.” Being “lifted up” in today’s passage, of course, refers to Jesus’ being lifted up on the cross. Jesus is telling us that it is in his suffering that we will come to recognize his glory. 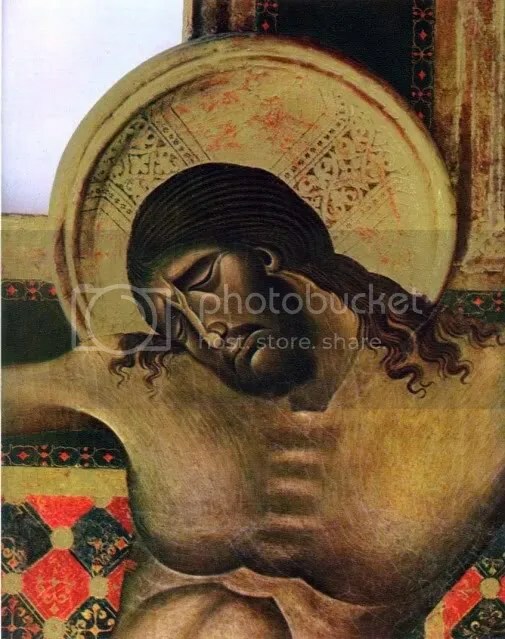 Today’s gospel goes once again to the paradox of Christianity, that there is in suffering, the revelation of God’s glory. And what is true about Jesus, that God reveals Godself in suffering, is true also about us, who have been baptized into him. Our suffering is not empty: God sees it and fills it with God’s own infinite meaning. Saint of the day: Saint Benjamin was a deacon martyred in about 424 in Persia. He was executed during a period of persecution of Christians that lasted forty years and through the reign of two Persian kings: Isdegerd I, who died in 421, and his son and successor, Varanes V. King Varanes carried on the persecution with such great fury, that Christians were submitted to the most cruel tortures. Benjamin was imprisoned a year for his Christian Faith and later released with the condition that he abandon preaching or speaking of his religion. His release was obtained by the Eastern Roman Emperor Theodosius II through an ambassador. 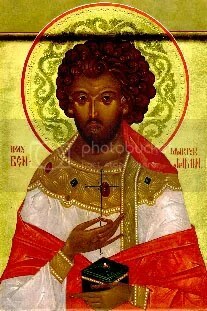 However, St. Benjamin declared that it was his duty to preach Christ and that he could not be silent. As a consequence, St. Benjamin was tortured mercilessly until his death in the year 424. Reflection on the gospel reading: Even many of the most conservative scholars accept the evidence that this passage in John’s gospel was not written by the evangelist John’s hand. It seems to have been a short story floating around in the ancient world, one with the ring of great authenticity, that editors decided to fix inside one of the four gospels. Though editors chose to insert the passage into John’s gospel at the start of what is now chapter 8, there are many scholars who believe it might have been a better insert for Luke’s gospel. Luke’s writing betrays his preoccupation with Jesus’ compassion, and this story certainly points to Jesus’ tenderness. I think the story touches us for many reasons. We all are aware that human sexuality is a place of particular vulnerability in the human psyche. 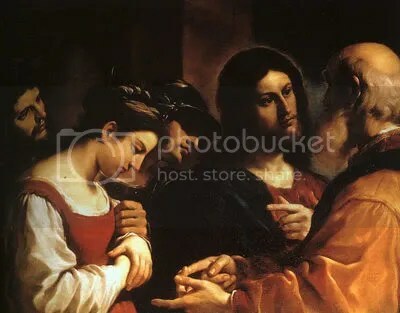 Any of us can reflect on her or his sexual behavior at different points in our lives and wonder, “Where did that come from?” This narrative demonstrates Jesus’ understanding and compassion for this area of weakness, and there is a hint, in his advice to the scribes and pharisees, that Jesus recognized it was a universal weakness. The narrative indicates that Jesus believed there were ideals for this arena of our behavior, and we should strive to live up to them, but it also suggests that Jesus recognized that rigid legalism around sexual mores, including punitive attitudes, is an inadequate response to such profound human weakness. I think it is fair to say that only those among us who are without failure in this area of our lives ought to be quick to condemn those whose failure unfortunately becomes public. Hypocrisy, not adultery, seems to be the sin that preoccupied Jesus when the woman caught in adultery was presented to him. Saint of the day: Born March 5, 1904 in Freiburg, Germany, Karl Rahner, S.J. was one of the most influential Roman Catholic theologians of the 20th century. His theology influenced the Second Vatican Council and is ground-breaking for a modern understanding of Catholic faith. Written near the end of his life, Rahner’s Foundations of Christian Faith (Grundkurs des Glaubens), is the most developed and systematic of his work, most of which was published in the form of theological essays. Rahner wrote over 4,000 articles and books. The basis for Rahner’s theology is that all human beings have a latent (“unthematic”) experience of God in any experiences of meaning or “transcendental experience.” It is only because of this proto-revelation that recognizing a specifically special revelation (such as the Christian gospel) is possible. The philosophical sources for Rahner’s theology include Thomas Aquinas, read from the aspect of contemporary continental philosophy. Rahner attended lectures by Heidegger in Freiburg. He died of natural causes in Innsbruck, Austria on March 30, 1984. Spiritual reading: Only in love can I find You, my God. In love the gates of my soul spring open, allowing me to breath a new air of freedom and forget my own petty self. 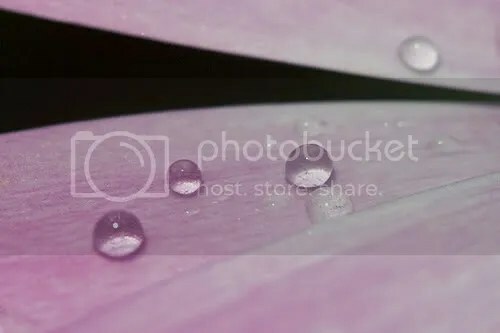 In love my whole being streams forth out of the rigid confines of narrowness and anxious self-assertion, which make me a prisoner of my own poverty and emptiness. Reflection on today’s gospel reading: Jesus articulates in today’s gospel the great paradox of Christian life, that through death comes life, that through failure comes success, that through defeat comes victory. In speaking of the consequence of his own suffering and death, Jesus speaks of God’s power to transform our deaths, our failures, and our defeats into life, success, and victory. The words are not empty but go to the crux of our hope: that the dead ends we encounter in our existence which have the appearance of personal ruin and failure are opportunities for something brand new and far greater than what we have lost. To all outward appearances, the life of Jesus should have been considered a failure: after a ministry to lepers and the poor of backwater Galilean towns in a remote part of the Roman Empire that ended in ignominious execution on trumped up charges, the world should never have heard anything more of Jesus of Nazareth, yet a life that ended in defeat on the cross has transformed the world and given immense hope to many nations. 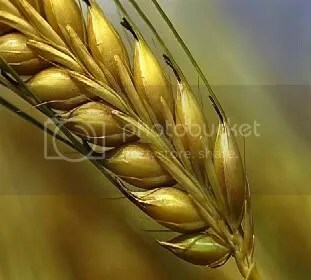 So it is that unless a grain of wheat falls to the ground and dies, it remains but a grain of wheat, but if it dies, it produces much fruit. 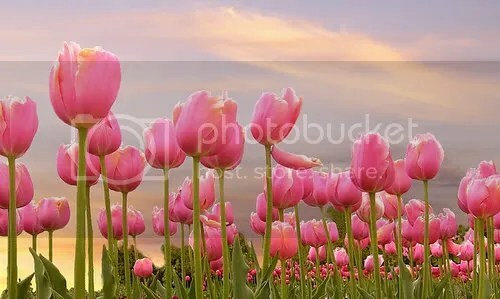 Spiritual reading of the day: A humble man can do great things with an uncommon perfection because he is no longer concerned about incidentals, like his own interests and his own reputation, and therefore he no longer needs to waste his efforts in defending them. For a humble man is not afraid of failure. So the Pharisees answered them, “Have you also been deceived? Have any of the authorities or the Pharisees believed in him? 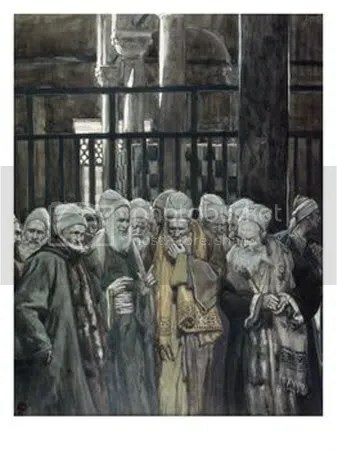 But this crowd, which does not know the law, is accursed.” Nicodemus, one of their members who had come to him earlier, said to them, “Does our law condemn a man before it first hears him and finds out what he is doing?” They answered and said to him, “You are not from Galilee also, are you? Look and see that no prophet arises from Galilee.” Then each went to his own house. 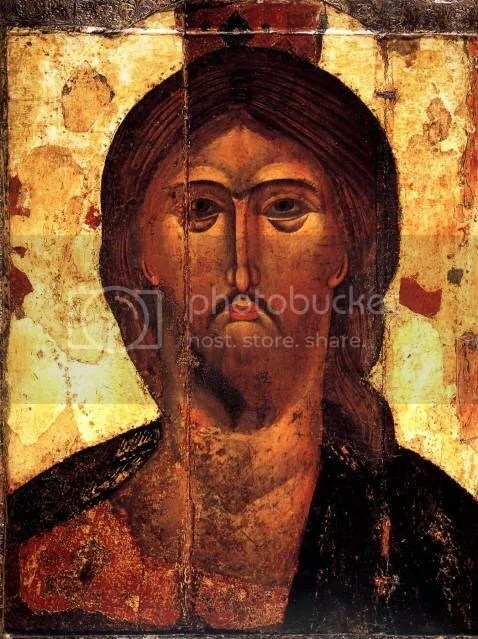 Reflection on the gospel reading: In today’s gospel, the controversy about Jesus’ identity that has dominated the readings over the last several days continues. What Jesus does and what Jesus says make many believe that he is the messiah, but some raise the objection that Jesus is a Galilean, either ignorant or inattentive to the facts that, as Matthew and Luke make clear, Jesus was from David’s line, born in Bethlehem of Judea. Each of us labors under a burden of bias. Our biases are not entirely bad; they help us to navigate common experiences without a lot of reflection. But sometimes, we are so stuck in our stories that we are unable to accept new data that challenges the way we have conceptualized something. We, too, like the Pharisees can be so convinced that we know who Jesus is that we are unable to move beyond our stories to embrace new evidence. For this reason, we need to pray to be open to the movements of the Spirit, the evidence of the scriptures, and experiences we encounter as members of our parish communities, for the evidence of Jesus as Jesus is in all these things. Saint of the day: Tutilo was born in Ireland in about 850. A large, powerfully built man, he was educated at Saint Gall’s monastery in Switzerland where he stayed to become a Benedictine monk. A renaissance man before the term was coined, Tutilo was an excellent student who became a sought after teacher at the abbey school. A noted speaker, poet, and hymnist, nearly all of his work unfortunately has been lost. An architect, painter, sculptor, metal worker, and mechanic, some of his art continues to grace galleries and monasteries around Europe. A composer and musician, he played several instruments, including the harp. No matter his talents or works, he preferred the solitude and prayers of his beloved monastery. 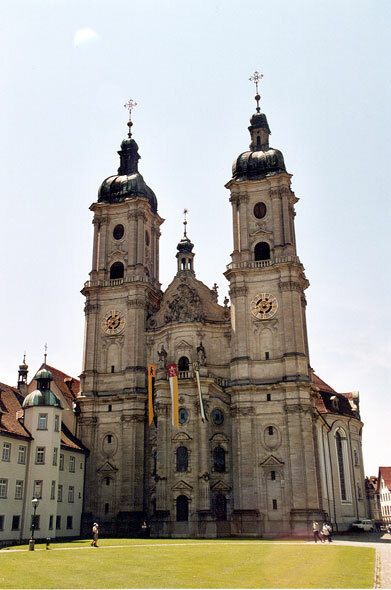 He died about 915 at Saint Gall’s monastery, Switzerland. Jesus moved about within Galilee; he did not wish to travel in Judea, because the Jews were trying to kill him. But the Jewish feast of Tabernacles was near. Reflection on the gospel reading: Today’s gospel goes to the question of who Jesus is. All of us who spend our time reflecting on this question recognize that the person of Jesus creates confusion for many people. In today’s gospel, for instance, the people know that their religious leaders seek to arrest and kill Jesus, yet they see that Jesus freely goes where he will and says what he wants. 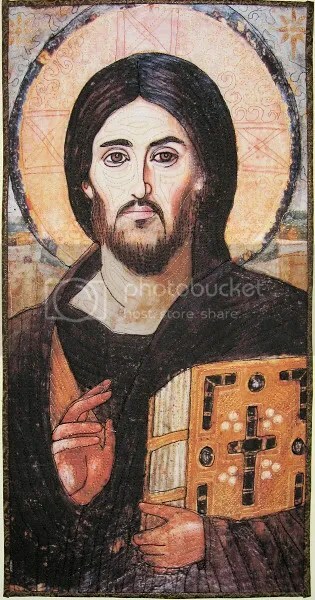 We Christians believe that Jesus is the Word of God; Jesus would not be Jesus were he not to speak. In the gospel, Jesus says, “I know him, because I am from him, and he sent me.” In speaking this way, Jesus causes his listeners to become angry, but the gospel tells us they could not arrest him. God had a plan, and Jesus’ time was not yet. 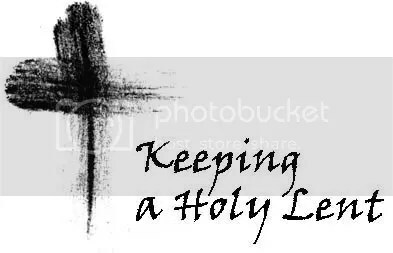 In this time of Lent, let us renew our attention to this question of who it is that we serve and pray to God that we may enter ever more deeply into a knowledge and love of the very image of the Father in whose name we have been baptized. 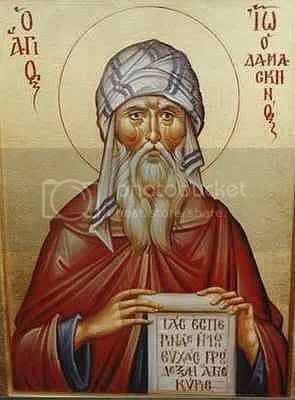 Saint of the day: Born sometime in the seventh century after the birth and explosive expansion of Islam, Saint John Damascene spent most of his life in the monastery of St. Sabas, near Jerusalem, and all of his life under Muslim rule, indeed, protected by it. He was born in Damascus, received a classical and theological education, and followed his father in a government position under the Arabs. After a few years he resigned and went to the monastery of St. Sabas. He is famous in three areas. First, he is known for his writings against the iconoclasts, who opposed the veneration of images. Paradoxically, it was the Eastern Christian emperor Leo who forbade the practice, and it was because John lived in Muslim territory that his enemies could not silence him. Second, he is famous for his treatise, Exposition of the Orthodox Faith, a summary of the Greek Fathers (of which he became the last.) It is said that this book is to Eastern schools what the Summa of Aquinas became to the West. Thirdly, he is known as a poet, one of the two greatest of the Eastern Church, the other being Romanus the Melodist. His devotion to the Blessed Mother and his sermons on her feasts are well known. He died probably about 749. Spiritual reading: The terrible thing about our time is precisely the ease with which theories can be put into practice. The more perfect, the more idealistic the theories, the more dreadful is their realization. We are at last beginning to rediscover what perhaps men knew better in very ancient times, in primitive times before utopias were thought of: that liberty is bound up with imperfection, and that limitations, imperfections, errors are not only unavoidable but also salutary. Jesus said to the Jews: “If I testify on my own behalf, my testimony is not true. But there is another who testifies on my behalf, and I know that the testimony he gives on my behalf is true. You sent emissaries to John, and he testified to the truth. I do not accept human testimony, but I say this so that you may be saved. He was a burning and shining lamp, and for a while you were content to rejoice in his light. But I have testimony greater than John’s. The works that the Father gave me to accomplish, these works that I perform testify on my behalf that the Father has sent me. Moreover, the Father who sent me has testified on my behalf. But you have never heard his voice nor seen his form, and you do not have his word remaining in you, because you do not believe in the one whom he has sent. You search the Scriptures, because you think you have eternal life through them; even they testify on my behalf. But you do not want to come to me to have life. 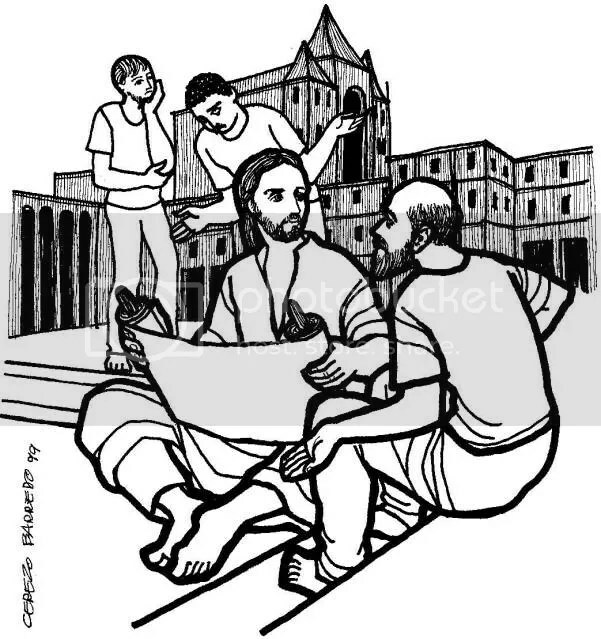 Reflection on the gospel reading: In today’s gospel, Jesus tells us that God witnesses to Jesus’ ministry through the testimony of John the Baptist, Jesus’ works, the Father’s own testimony, and the words of Scripture. The Baptist’s testimony and the record of Jesus’ life call us to believe in the Christ that the Father reveals to us in the Scriptures. 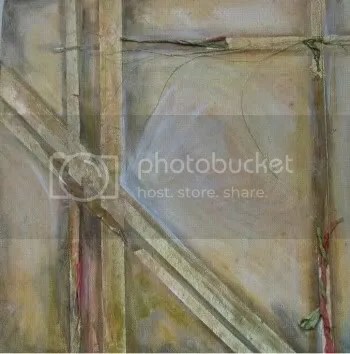 It is easy for us to project our hopes and ideas onto Jesus like some giant Rorschach test, but perhaps we should ask ourselves whether we are open to the Jesus whose radical presence was nothing of the peace of amiable indifference, the Christ not of our invention, but the Lord has truly he reveals himself to us. Spiritural reading: I did not lead a life. I worked, wrote, taught, tried to do my duty and earn my living. Reflection on the gospel reading: I often have reflected over the years that the Church might have done well to call this feast we celebrate today, “the Feast of the Incarnation,” and not that of the Annunciation. In a way, this feast is a greater occasion than Christmas and perhaps only second to the events of Holy Week and Easter. In fact, the feast we celebrate today makes Christmas, Holy Week, and Easter the mysteries that they are. The child would not have been born if he had not first been conceived. The infinite meaning of his suffering, death, and resurrection results from the fact that God threw God’s own life into God’s creation. Faith in the Trinity and the Incarnation are two of the central tenants that define our Christian faith. It was at the Annunciation that the Incarnation began to become a reality. It was at this moment that “the Word was made flesh and lived among us.” Today should be a special day of praise and thanksgiving for all of us. 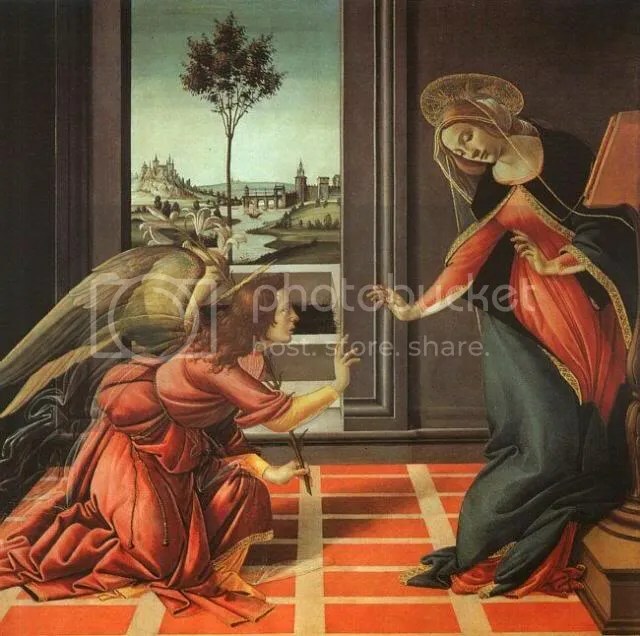 The Feast of the Annunciation: The annunciation to Mary by the angel Gabriel that she was to be the Mother of God (Luke, 1), the Word being made fiesh through the power of the Holy Spirit. The feast of the Annunciation, called also in old calendars the feast of the Incarnation, is celebrated 25 March. It probably originated about the time of the Council of Ephesus, c.431, and is first mentioned in the Sacramentary of Pope Gelasius (died 496). 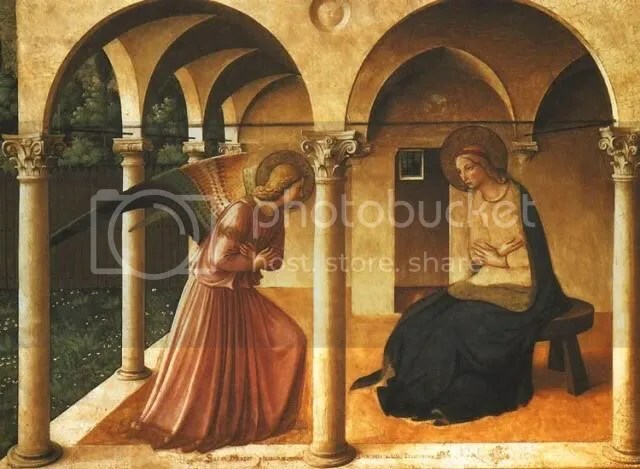 The Annunciation is represented in art by many masters, among them Fra Angelico, Hubert Van Eyck, Jan Van Eyck, Ghirlandajo, Holbein the Elder, Lippi, Pinturicchio, and Del Sarto. Reflection on the gospel: At the center of Jesus’ teaching is his proclamation of the coming of the Kingdom of God. In today’s gospel, Jesus links a total love of God to a love of our neighbor and love for ourselves. 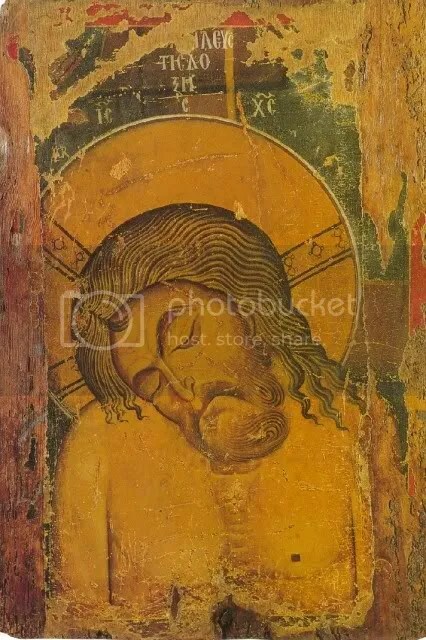 By telling the scribe that he is not far from the kingdom of God when the scribe connects love of the kingdom and love of neighbor, Jesus tells us that the reign of God is near when we move toward God through our love of our neighbor. Saint of the day: Saint Jósef Bilczewski was born in what is now the Ukraine in 1860. The eldest of nine children in a peasant family, he was a seminarian at Krakow, Poland. Ordained on 6 July 1884, he became a doctor of theology at the University of Vienna in 1886 and studied dogmatic theology and Christian archaeology in Rome and Paris. He became a professor of theology at the University of Lviv in 1891 and archbishop of Leopoli in 1900. He often intervened with civil authorities on behalf of Poles, Ukrainians, and Jews. He guided his flock during World War I, the Polish-Ukrainian War, the Bolshevik invasion, and the anti-Catholic terror started by the Communists. 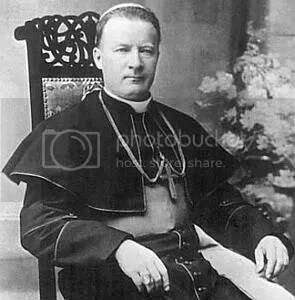 Between 1918 and 1921, his archdiocese lost about 120 priests. He fought to protect everyone in his see, regardless of race or religion. He died of natural causes on March 20, 1923. May the angels watch over you as you make your way. Reflection on the gospel: The synoptic gospels make clear that throughout the early church people knew that Mary was the name of Jesus’ mother and Joseph was the name of Mary’s husband. They also make clear that Joseph practiced carpentry, though the carpentry he practiced was a little more specialized than our word for it suggests. He worked on door jams; we don’t have a word for this kind of specialized woodcraft, but we do know that it was a labor that received a subsistence wage. Many of the stories that come to us about Joseph result from the apocryphal gospels written in the first several centuries after the Lord’s birth. These writings are highly suspicious and fanciful works, so it it hard to know whether they contain any traditions that had survived for centuries, or whether they were the products of the veritable Graham Greenes of ancient times. One second century story is the gospel of James which suggests that Joseph was an older widower who brought to his relationship with Mary children from his first marriage. Saint of the day: St. Joseph was a descendant of the house of David. A carpenter, he was the husband of Mary and the foster and adoptive father of Jesus Christ. A visionary who was visited by angels, he was noted for his willingness to immediately get up and do what God told him. He is the patron against doubt; against hesitation; of the Americas; Austria; Belgium; Bohemia; bursars; cabinetmakers; Canada; Carinthia; carpenters; China; Church; confectioners; craftsmen; the Croatian people; dying people; emigrants; engineers; expectant mothers; families; fathers; Florence, Italy; happy death; holy death; house hunters; immigrants; interior souls; Korea; laborers; married people; Mexico; New France; New World; Oblates of Saint Joseph; people in doubt; people who fight Communism; Peru; pioneers; pregnant women; protection of the Church; social justice; Styria, Austria; travelers; Turin, Italy; Tyrol, Austria; unborn children; Universal Church; Viet Nam; wheelwrights; workers; and working people. Reflection on the gospel reading: Scripture scholars believe that a Jewish scribe or a group of Jewish scribes who converted to Christianity wrote the gospel of Matthew. The evangelist’s preoccupation is to show the connection of Jesus to the tradition of Israel, and we see evidence of this intention in today’s gospel reading. Jesus tells us in this passage that he has not come to destroy the law but to fulfill it. He seeks not break away from the tradition but to transcend it through a deeper understanding of the law’s implications for our inner lives. The law is a danger to us if we follow only its letter; it must radiate through our thoughts and actions, and we must be prepared even to break its letter when it is necessary to fulfill its spirit. 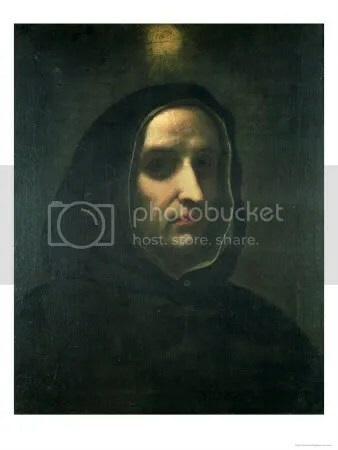 Saint of the day: Fra Angelico was a famous painter of the Florentine school, born near Castello di Vicchio in the province of Mugello, Tuscany, 1387, he died at Rome, 1455. He was christened Guido, and his father’s name being Pietro, he was known as Guido, or Guidolino, di Pietro, but his full appellation today is that of “Blessed Fra Angelico Giovanni da Fiesole.” He and his supposed younger brother, Fra Benedetto da Fiesole, or da Mugello, joined the order of Preachers in 1407, entering the Dominican convent at Fiesole. Fra Angelico was twenty years old at the time the brothers began their art careers as illustrators of manuscripts, and Fra Benedetto, who had considerable talent as an illuminator and miniaturist, is supposed to have assisted his more celebrated brother in his famous frescoes in the convent of San Marco in Florence. Fra Benedetto was superior at San Dominico at Fiesole for some years before his death in 1448. Fra Angelico, who during a residence at Foligno had come under the influence of Giotto whose work at Assisi was within easy reach, soon graduated from the illumination of missals and choir books into a remarkably naive and inspiring maker of religious paintings, who glorified the quaint naturalness of his types with a peculiarly pious mysticism. He was convinced that to picture Christ perfectly one must need be Christlike, and Vasari says that he prefaced his paintings by prayer. His technical equipment was somewhat slender, as was natural for an artist with his beginnings, his work being rather thin dry and hard. His spirit, however, glorified his paintings. His noble holy figures, his beautiful angels, human but in form, robed with the hues of the sunrise and sunset, and his supremely earnest saints and martyrs are permeated with the sincerest of religious feeling. His early training in miniature and illumination had its influence in his more important works, with their robes of golden embroidery, their decorative arrangements and details, and pure, brilliant colors. As for the early studies in art of Fra Angelico, nothing is known. His painting shows the influence of the Siennese school, and it is thought he may have studied under Gherardo, Starnina, or Lorenzo Monaco.